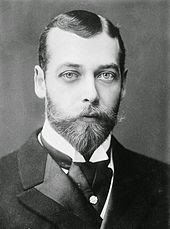 In 1911 George V (George Frederick Ernest Albert ) was crowned as the King of the United Kingdom and the British Dominions, Emperor of India. The British government released new silver rupees in India to celebrate the coronation of their new King. On the 1911 issues of Rupee, Half Rupee, Quarter Rupee, Two Annas and 1/4 Anna the King is shown wearing a robe with a small elephant on it. This elephant was thought to resemble a pig with trunk appearing to a be a pig snout and short legs not appearing very elephant-like. This offended the religious sensibilities of many citizens as the elephant resembled a pig, which was considered unclean by most of Indian citizens, so the coins were rejected. Most of the rupees minted for 1911 were withheld from circulation and were withdrawn within a month and later melted. 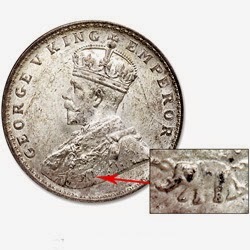 The coins released on 1912 had a redesigned elephant. The 1911 "Pig" Rupees is thus one of the short-lived coins in the History of Indian Coins.